The other day I was at my son’s Purdue Star Day where they learn about the university and sign up for classes. Parents were invited to attend various seminars as well. While there, I saw a young gal wearing PURPLE high top tennis shoes! Well, I HAD to make a comment about her ‘grape’ choice of colored footwear and found she’s a purple lover too! One thing lead to another and she was subscribing to my For the Love of Purple fan page over on Facebook! Speaking of Facebook, the fan page has close to 6400 fans now! You should head on over! We’d love to have you! In fact, I’ve redecorated for just such an occasion! I’ve redone the header and button to look more like the site here! 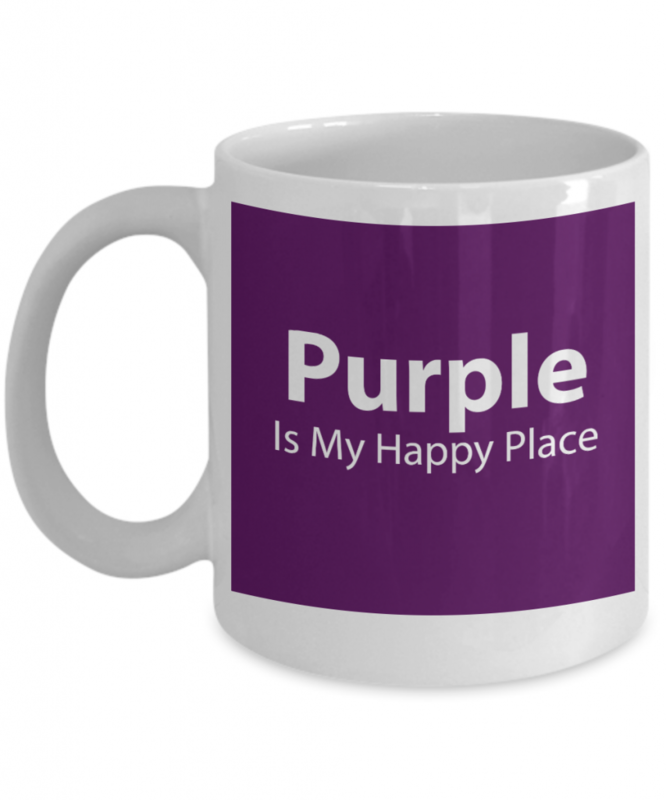 I’m still working on some new purple mugs and other purple products I’ll be introducing over on GearBubble. For now I have just one up and ready for you. Check it out! It’s at a grape price! What I do have ready for you purple lovers is a weekly purple segment on my weekly Grape Value Newsletter! Don’t miss out! It’s mostly free stuff plus some grape discounts on purple items too!